Obituary for Lucy M. (Zampini) Fusco | Nardolillo Funeral Home, Inc.
92, of Cranston, died peacefully on February 5, 2019 at Briarcliffe Cottage, where she had resided for the past two and a half years. She was the wife of the late Anthony W. Fusco and the mother of the late William A. Fusco. Born in Providence, Rhode Island, daughter of the late Domenico and Assunta (Vigliotti) Zampini. 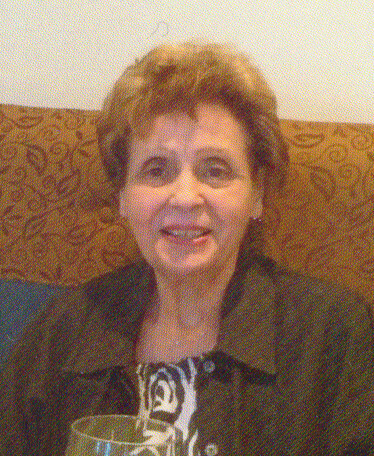 She leaves her daughter Carol A. Fusco (Joseph F. Penza, Jr.) and many nephews and nieces. She was also “GG Lucy” to Juliana, Whitney and Kate McCormack and Sam and Luke Penza. She was the sister of the late Frances Luther, Theresa Ferrari, Nicholas, Louis, Felice, Gaetano and Joseph Zampini. Everyone loved her baking, especially her lemon meringue pie. She will be sorely missed. Funeral from the NARDOLILLO FUNERAL HOME & Crematory, 1278 Park Ave., Cranston on Monday at 9:00 am followed by a Mass of Christian Burial at 10:00 am in St. Robert Bellarmine Church, Johnston. Burial will follow in St. Ann Cemetery, Cranston. VISITING HOURS will be held on MONDAY MORNING from 8:00 – 9:00 am. In lieu of flowers, memorial contributions may be made to: St. Robert Bellarmine Food Shelf, 1804 Atwood Ave., Johnston, RI 02919.